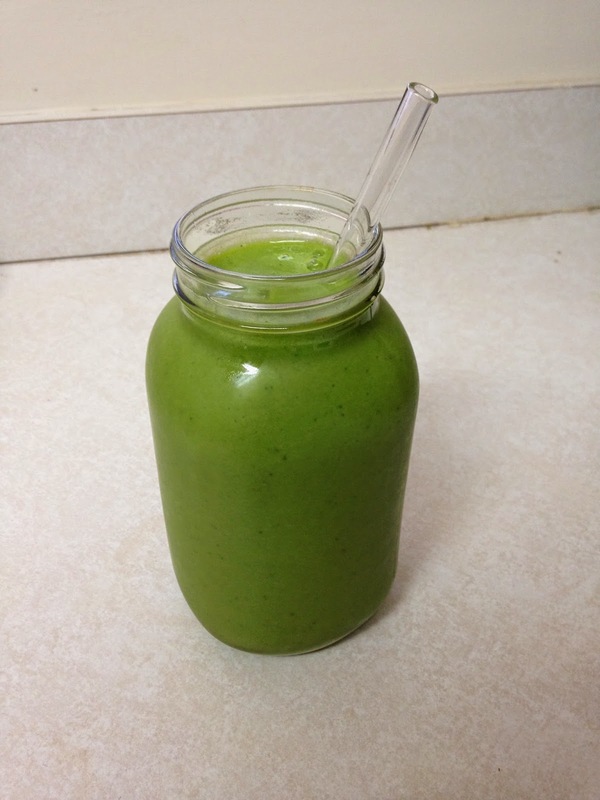 Green smoothies can be really intimidating to some people but I have a really simple recipe that I wanted to share. Getting in greens can be really difficult, especially if you don’t have a lot of time to sit and eat them all. Putting them in a smoothie can hide the taste, and make it a lot more enjoyable. 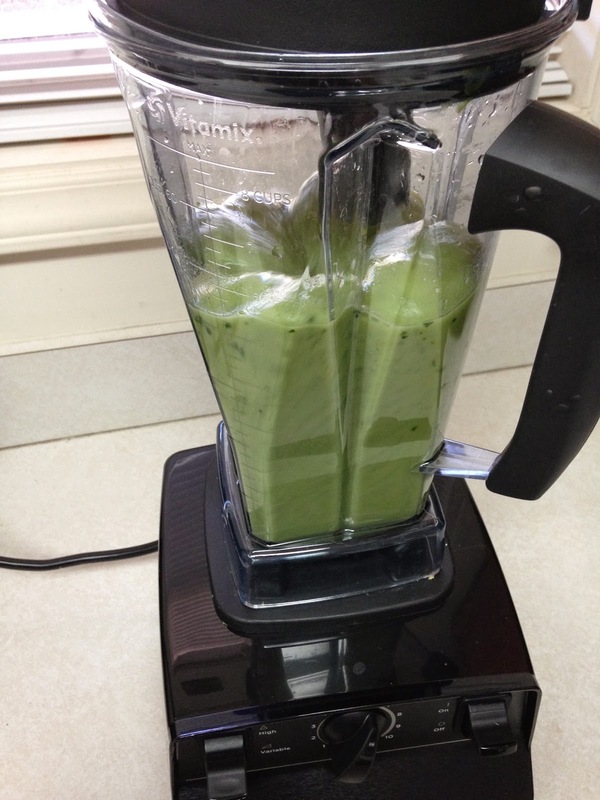 When I first started making smoothies, I would try to cram as much stuff in the blender as possible, not thinking about the actual taste of it. I’ve learned to not add a bunch of random ingredients, and keep it as simple as possible. Fruit should be the main ingredient in your smoothies, not only for taste, but also for calories and carbohydrates. 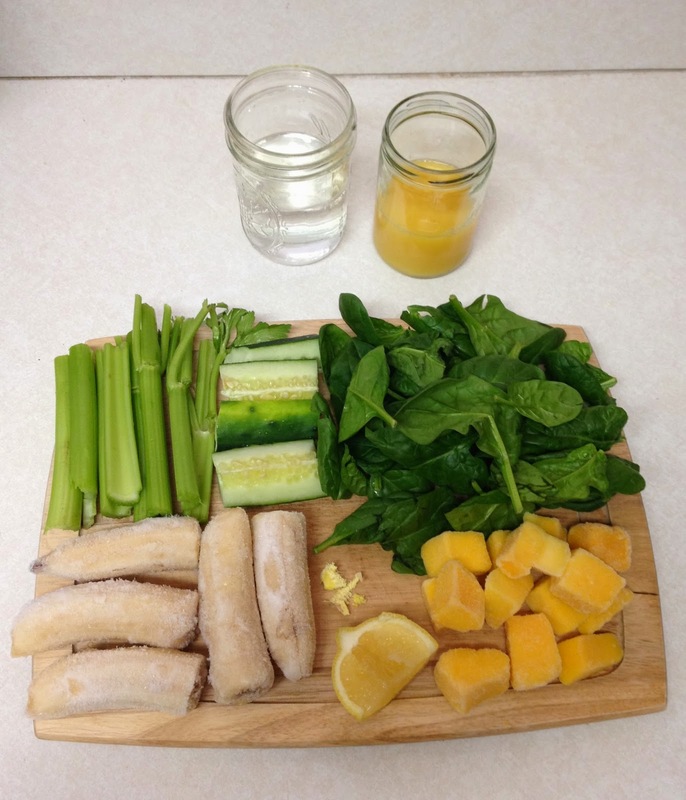 Using at least 3/4 fruit, and 1/4 vegetables you’re guaranteed to have a sweet and refreshing smoothie. Choosing the best vegetables to put in a smoothie is also important. If you’re unsure about adding in vegetables, don’t be. You can barely taste them! Sticking with high water content vegetables is best because they have lots of nutrients, but lack in strong flavors. 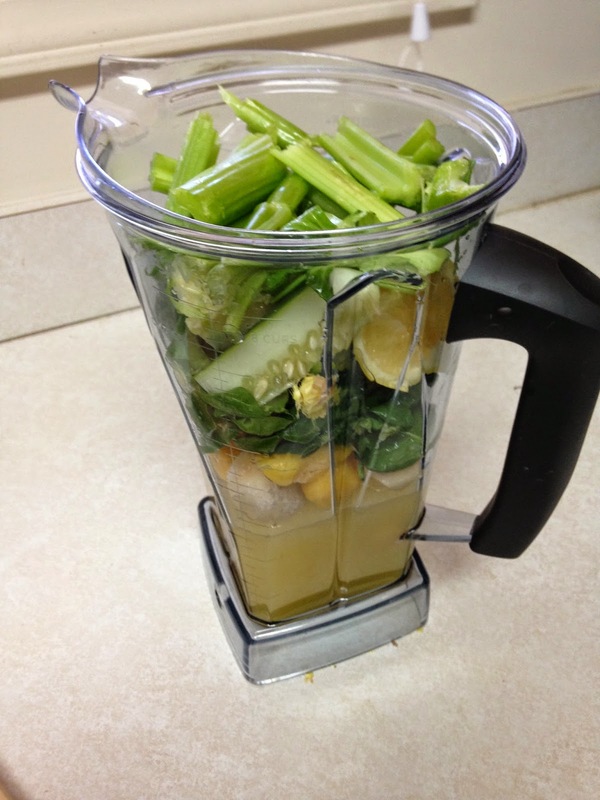 My favorite vegetables to add to smoothies are spinach, kale, celery, celery leaves, cucumber, avocado, and peppers. Not all of them should go into one smoothie, but a choose just a few to put in one. Now, onto the recipe! 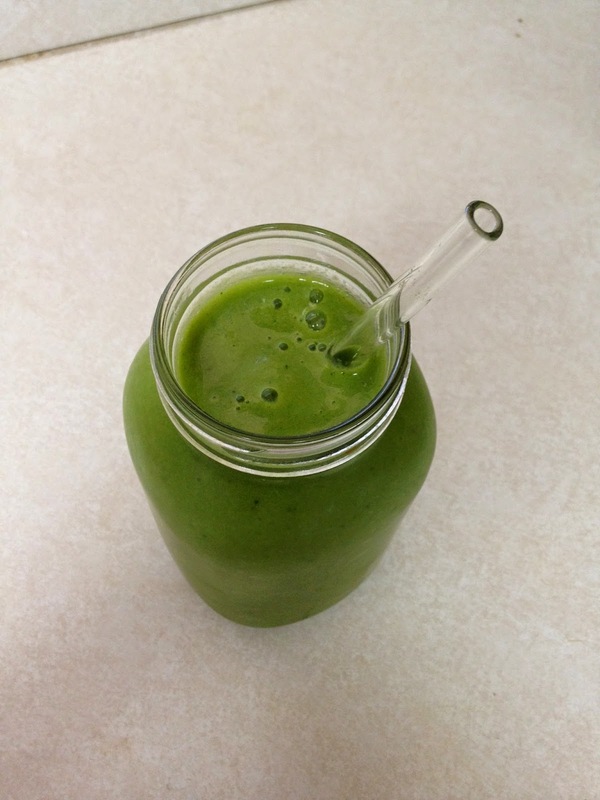 I absolutely love this green smoothie recipe because it’s super sweet, inexpensive, easy to make, and it keeps me full for so long. 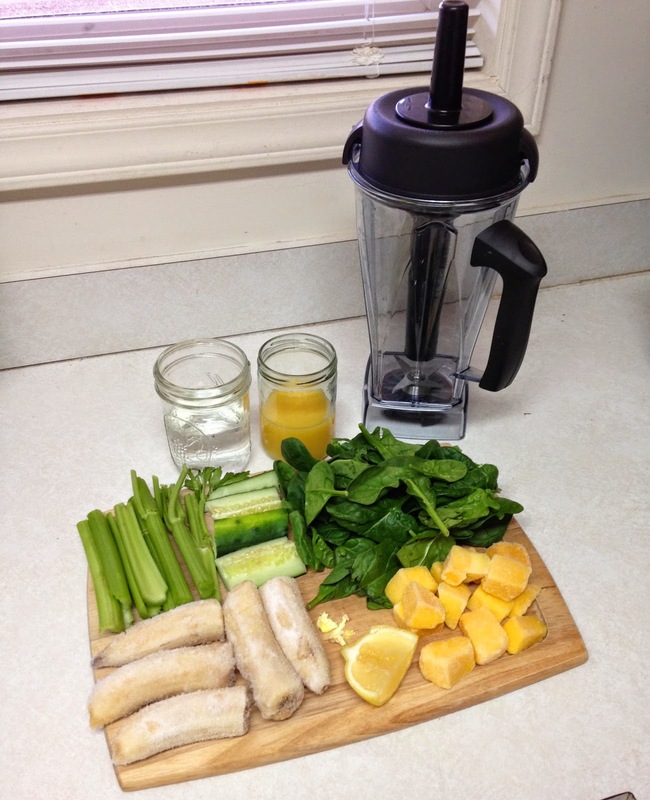 Put all ingredients into your blender, and blend! If you like it thicker, add some ice. If you like it a little thinner add some more juice or water. I put all the ingredient’s into an online food processor to calculate the nutrition facts. If you’re interested in checking them out, you can here!